If you find yourself short of cash or simply want some extra spending money, there are plenty of options. There is no need to take your precious jewelry or electronics to the local pawn shop, where you’ll only get a fraction of what they’re worth. Learn how to make money online fast. There are several free options that simply require a computer, an internet connection, and a few minutes of your time. The first step is to look around the house and find any unwanted or unused items that may be of value to someone else. Unused kitchen appliances, housewares, evening wear, business attire, work uniforms, unwanted furniture, and pieces of art you no longer find appealing are some examples. Outgrown, but gently used baby items are also in demand. Take clear pictures of each item. Look for the closest Craigslist city and create an account. You will then choose the best category to list each item and will be able to upload several photos. Make sure to write a brief, accurate description of the item. It is up to the seller whether a mobile phone number will be included in the add. If you don’t feel comfortable listing the number, you will receive replies by email. People search through Craigslist every day, trying to find bargains on items they need. If you price the item fairly and competitively, you are likely to get several inquires. You should be ready to negotiate as well, though you don’t have to settle for the first offer. Most people are willing to come to you, if they think they’re getting a good deal. You could also arrange to meet in a highly visible public place. Many cities have forums for different hobbies and activities. If you have lawn equipment you no longer need, for instance, there are gardening and landscaping forums that also offer free ad placement. Forums may also have classified ads available to members. Most forums simply require some basic information to sign up. If you feel comfortable putting an announcement on your social media site like Facebook, friends will tell their friends if they see something special or useful. 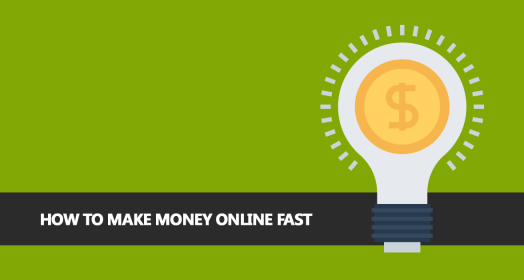 Learn how to make money online fast by networking. It is also free and is an excellent way to get plenty of exposure.